Are you interested in performance improvement plans (PIPs)? PIPs are a popular topic among readers because so many organizations do them wrong and use them for all of the wrong reasons. So employees are often confused about what being placed on a PIP actually means for their current and future employment. Readers frequently ask, in terms of Performance Improvement Plans (PIPs), how does a manager do them? Is it appropriate for the manager to go "fishing" for feedback from other managers about the person on the PIP? For example, if someone is serving their client group, and is put on a PIP, how does the manager find out if building trust has improved for the person on the PIP without asking each week for feedback from the client group? Is this the right procedure? Also, do PIP's really work? Or are they usually just the start of a paper trail to build up a legal defense to fire someone? To respond to these frequently asked questions, PIPs have succeeded many times and sometimes they don't succeed, too. With motivated employees who went astray, putting them on a PIP is a way for you to have finally gotten their attention. You should liken a PIP to hitting someone upside their head with a two by four since no other performance coaching seemed to work to convince them that their performance was in need of serious improvement. Following a successful PIP, the key for the manager is vigilance. You cannot allow the employee to slip back into the performance habits that earned him or her the PIP in the first place. To answer the next part of common questions, it is appropriate for a manager to confidentially solicit employee feedback or improvement from another manager, as long as that manager is the customer of the employee's service. This input is essential to know whether the employee on the PIP has actually improved in the eyes of their customer. Managers do not have the time nor the desire to spend their days watching over the shoulder of the employee who has been placed on a PIP. So, the manager is dependent on this feedback. Feedback from another manager is also appropriate if the second manager directs part of the employee's work or a team in which the employee participates. 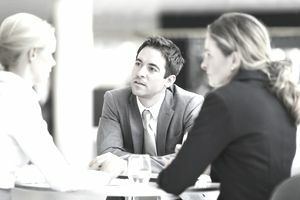 It is not appropriate to solicit performance feedback from regular employees who are coworkers unless the solicitation is part of an informal or formal 360 feedback process. A PIP is often the start of paperwork that will eventually result in employment termination. That should not be the goal of the PIP although I suspect, in many organizations, it is. as much as possible, the goals are measurable, or if not measurable, the expected outcomes are described in such a way that the manager, HR, and the employee can agree on whether they were reached or not. Meet with the employee every couple of weeks to discuss progress. Document all follow-up meetings and progress—or lack thereof. If you see little progress occurring despite these best efforts, it's time to consider firing the employee. Disclaimer: Please note that the information provided, while authoritative, is not guaranteed for accuracy and legality. The site is read by a world-wide audience and employment laws and regulations vary from state to state and country to country. Please seek legal assistance, or assistance from State, Federal, or International governmental resources, to make certain your legal interpretation and decisions are correct for your location. This information is for guidance, ideas, and assistance only.